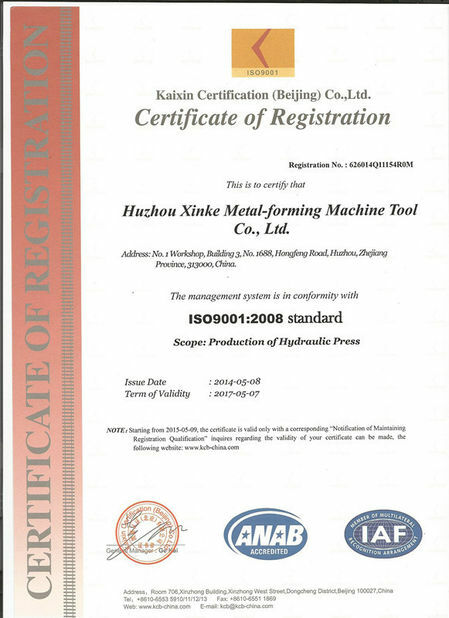 We, Huzhou Xinke Forging Machine Co., Ltd. with the certificates of ISO9001:2008 and CE, is a design, manufacture, assembly, installation, and after-sales service, marketing, R&D and export company in the business of hydraulic presses only. 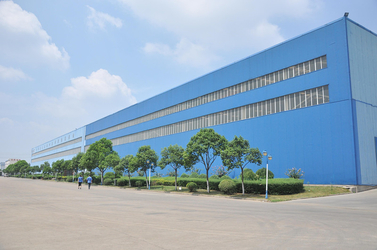 We mainly serve the industries of automotive, aviation, household appliances, defense, electrical components through supply various kinds of hydraulic presses for sheet metal forming (drawing, blanking, stamping, punching, trimming), cold extrusion, hot forging, hydroforming (for pipe fitting), plastic molding, metal powder molding, and die spotting. We established a standardized structure of corporate governance and adopted a management system of centralized decision-making, delegated authorities at different levels and business operations handled by specialized business units. Business assets are located in the mid east of China, where is 150km distance from Shanghai, China’s most developed and dynamic economy zones. As an endeavor to become a multinational machine company with fairly strong international competitiveness, we will seriously implement strategies of resource, market, integration and internationalization with more focus on innovation of science, technology and management expertise, as well as improvement of employees’ quality. 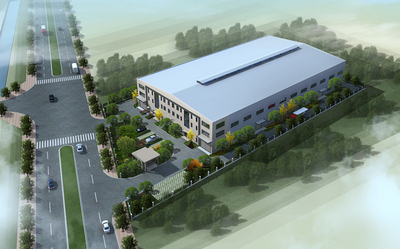 China Good Quality Hydraulic Molding Press Supplier. 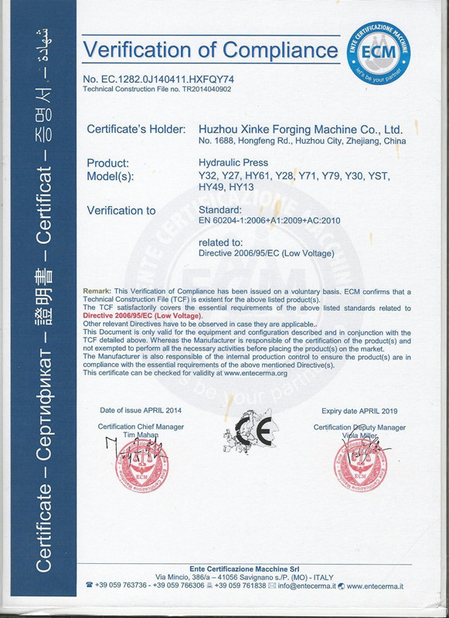 Copyright © 2018 - 2019 hydraulicmoldingpress.com. All Rights Reserved.